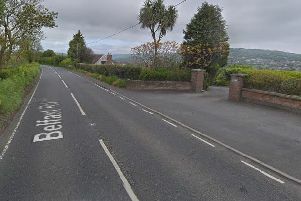 A busy Northern Ireland has been closed by the emergency services after a van overturned shortly after 7:00am on Monday. It’s been reported that the vehicle overturned near the junction with the Hydepark Road near upper Hightown Road and Hightown Road in Glengormley. The PSNI has closed the road. The road is now closed and diversions are in place. Motorists are being urged to exercise extra care when driving near the incident.